Here at Fresno Tractor Inc, we have a 35,000 square foot, full service facility that incorporates the latest technology in heavy equipment repair and fabrication. 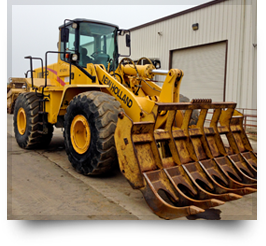 The features of our work include service and repair of all makes and models of heavy equipment, field service, tractor service and repair, welding, machining, hauling, and tungsten carbide hard-facing. We are located in Fresno, CA and we have been serving central California since 1959. In addition to service and support we can supply parts and service for most major brands of heavy equipment and tractors. We offer competitive rates on hauling and are equipped to handle most loads that need to be moved. We are confident that we can provide you with the level of service and support that you and your customers deserve. 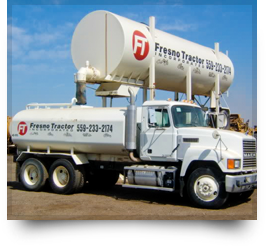 Fresno Tractor Inc proudly serves commercial, industrial, and agricultural customers. Whether you need sales, rental, service, parts, or transportation, we can satisfy all of your needs. Give us a call to learn more about our heavy equipment specialists, or stop by anytime. Fresno Tractor Inc provides an exceptional service department for all types of tractors and heavy equipment in Fresno, CA. Whether you work in the commercial, industrial, or agricultural sector, we can handle all of your heavy equipment needs. Our team can offer you dependable service with a smile. Fresno Tractor Inc is dedicated to offering the very best in tractor and heavy equipment rentals and repairs. We know all there is to know about construction and agricultural equipment. We are located in Fresno, CA and we serve the entire greater Central California region. Copyright © Fresno Tractor Inc, 2015. All rights reserved.